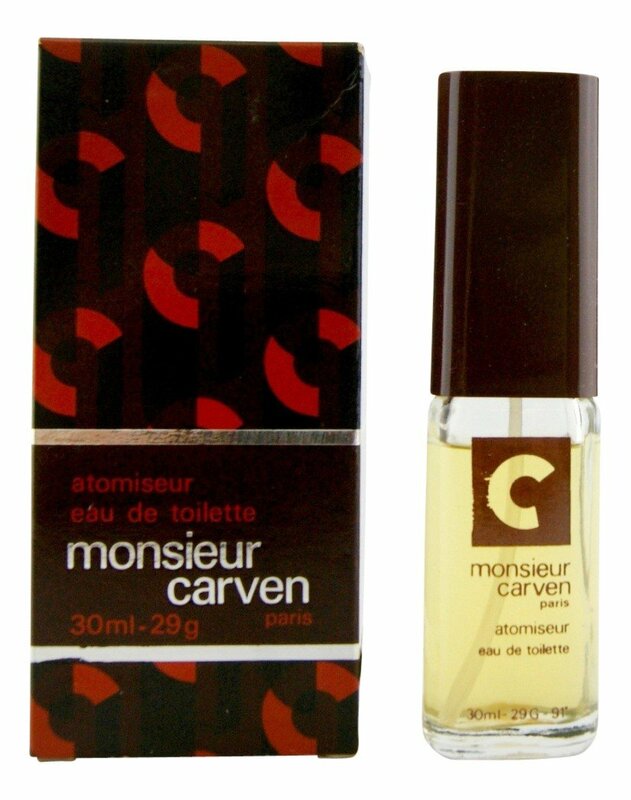 Monsieur Carven (Eau de Toilette) is a popular perfume by Carven for men and was released in 1978. The scent is spicy-woody. The production was apparently discontinued. "I don't wanna be alone, where is my man?" The wonderful AromiErotici send me a box of rare delights to sample, including this discontinued gem ... thanks so much!! I now have a dozen fragrances to try and review ... all things that I would never have sought out ... very exiting!! Such things as summer by the sea, The Hamptons, Malibu ... Capri. 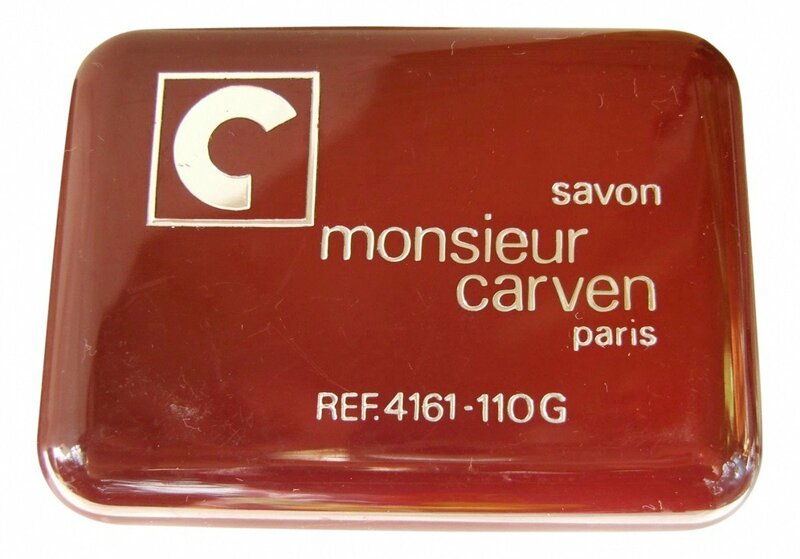 Yes, Monsieur Carven reminds of playboys with purchased titles and the kind of cash that makes the eyes of the original 'gold-digger' sparkle :). This is the kind of guy who favours silk shirts open to the waist and a gold medallion on a chain that would cripple Croesus nestled against the crisp curls of his hairy chest ... a dazzling white smile to go with it all! You know? ... like a 007 baddie :). 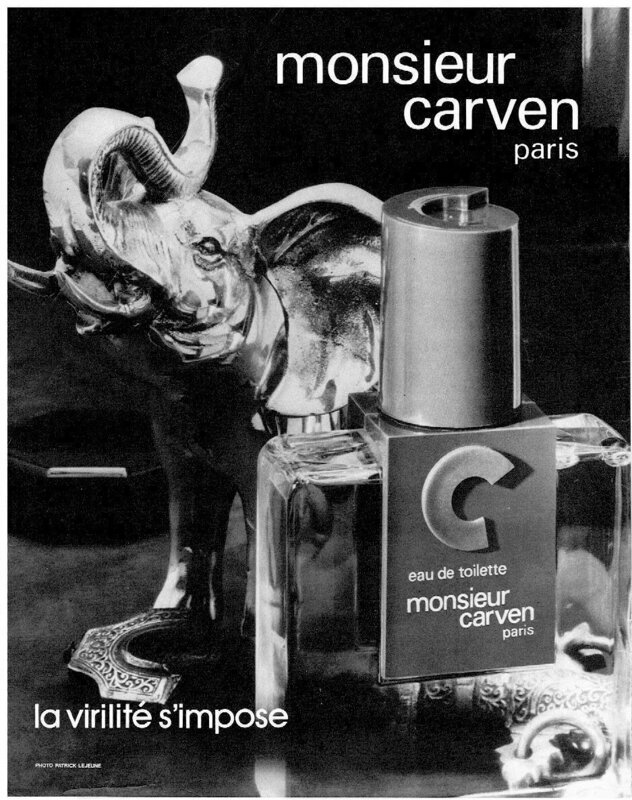 The aldehydic/herbal opening of Monsieur Carven dates the fragrance and many will turn up their noses and complain that it smells 'old'. I prefer the word 'classic'. The deep floral/woodsy midsection ultimately leads to a very sensual dry down, the Civet here doing its job remarkably well creating an air of post coital raunchiness. Miss Kitt croons "I want a billionaire ... with a big, big, big, big ...................... yacht!!". Hmmm ... really? This fragrance reminds me in more than a passing way of another leather bomb ... Piguet's Bandit. In some respects they could have been cut from the very same cloth ... or err ... formula. 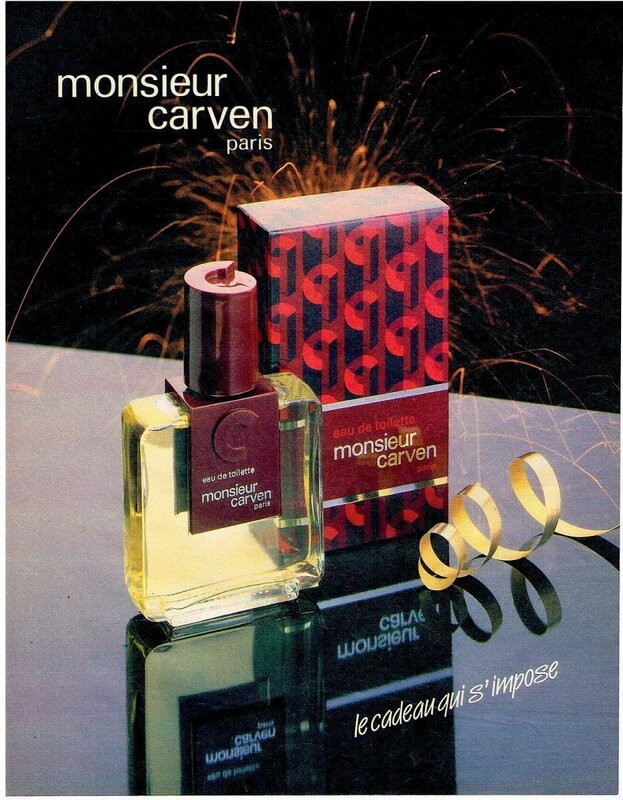 There exists an inherent uniqueness in fragrances like these ... they define an era. Monsieur Carven is possessed of above average longevity and reasonable sillage, but I am sure that any kind of trigger abuse here would be fatal. Would I wear this fragrance? No, probably not ... it's overly testosterone heavy for me. I cast myself more in the 'gold-digger' role anyway :). 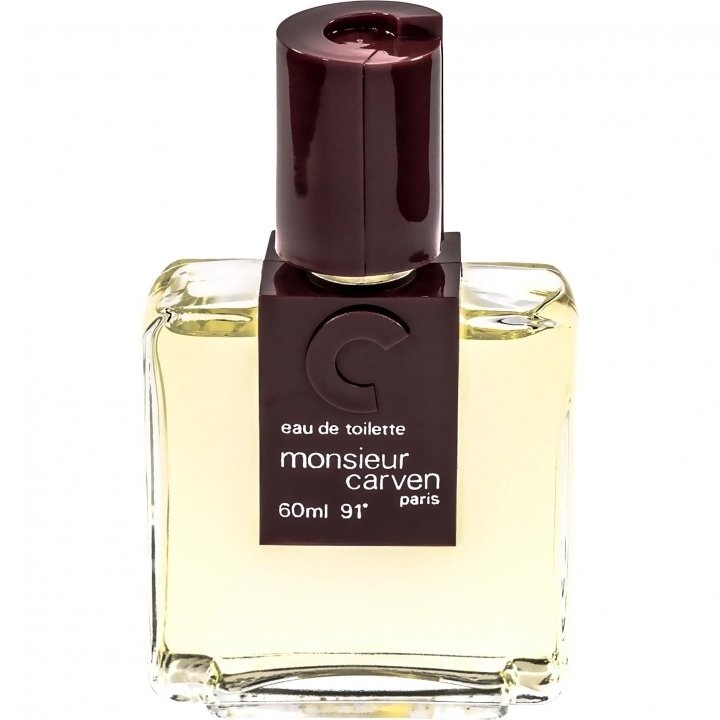 Monsieur Carven opens with a sharp aldehyde infused blast of citric bergamot, aromatic lavender and green wormwood before moving to its heart phase. During the early heart the bergamot remains in a subdued form, as the lavender and wormwood take the fore supported by sharp woody vetiver. 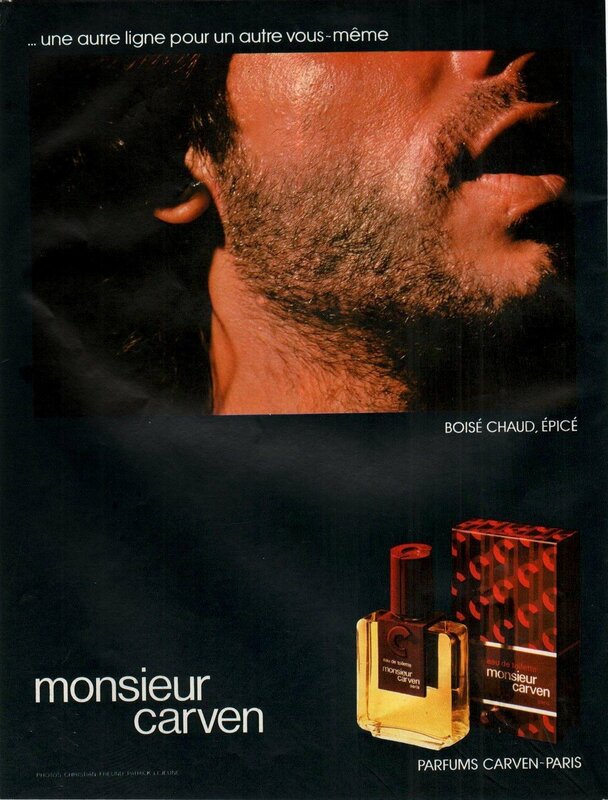 As the heart progression continues hints of an animalic powdery oakmoss laced leather accord begin to permeate the herbal woody greens, combining with a dark rose and carnation floral tandem. 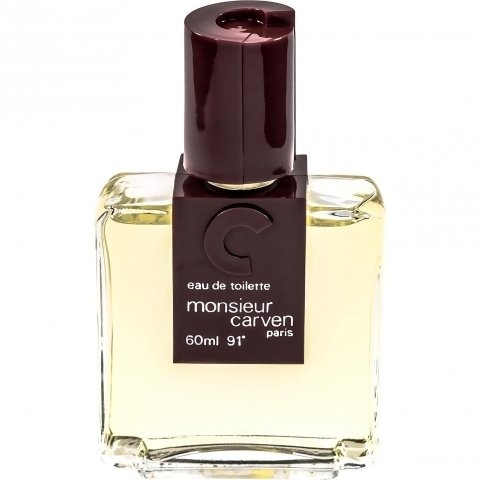 By the end of the heart phase the powdery oakmoss laced animalic leather becomes much more prominent and dominates the early part of the dry-down before softening very late as subtle slightly sweet sandalwood cuts the aggressive mossy leather as the accord finally fades. Projection is average and longevity is good at 10-12 hours on skin. 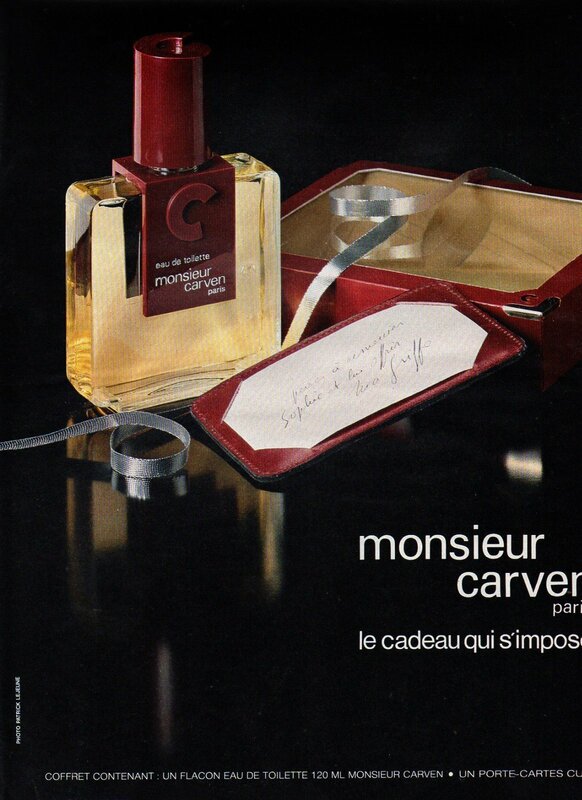 Monsieur Carven is a classic well made scent that changes many times through its complex development. It starts off sharp, herbal, green and woody before turning powdery and leathery midway through and just slightly sweet late. In some respects the overall accord result is somewhat formal, but far from subtle. Even though the leather is rather hard-core (most likely birch tar and castoreum derived) it never becomes too much to take, as the powdery facets of the oakmoss utilized by the perfumer keep it just well enough in-check. 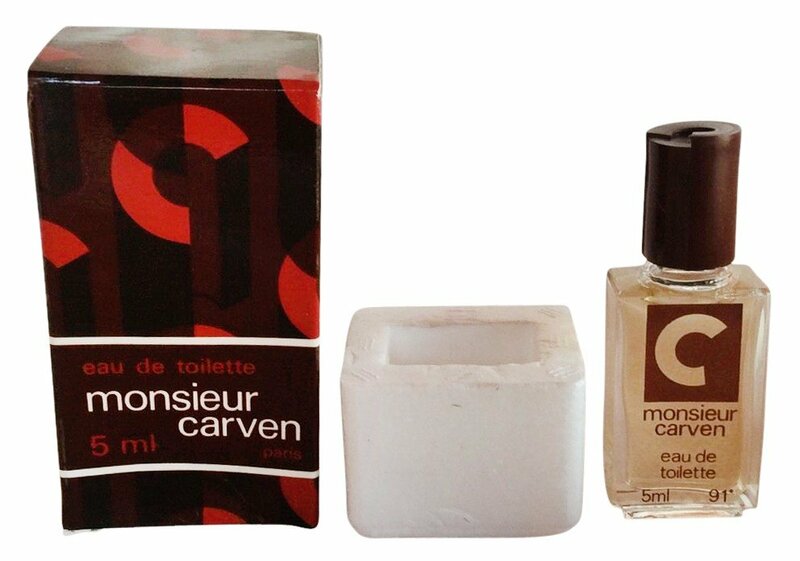 If I have any gripe with Monsieur Carven it is the powdery oakmoss used is just a bit heavier than I would like ideally, but that really is a minor gripe in an otherwise outstanding composition. 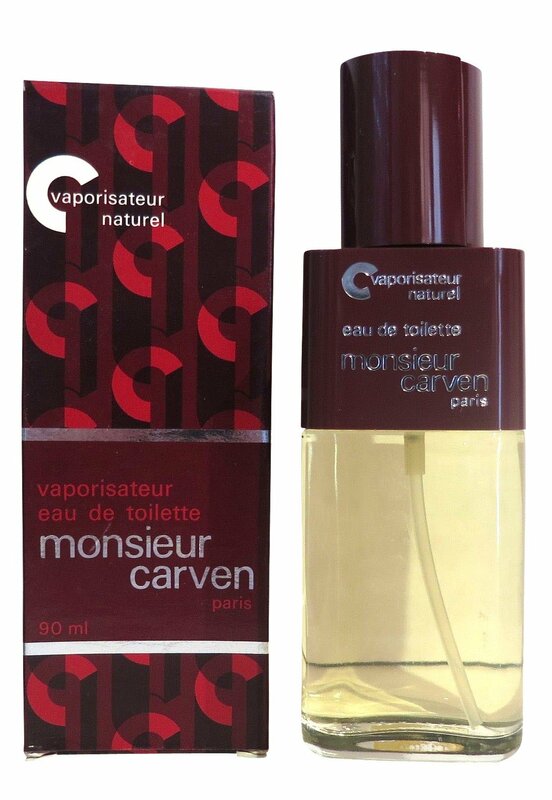 Monsieur Carven is quite the old-school fragrance that folks used to "flavor of the month" current modern releases might not take well to, but this reviewer loves the style and loves the scent, awarding it a strong 4 out of 5 star "excellent" rating. As Monsieur Carven has been off the market for quite some time finding a bottle is far from easy nor inexpensive, but this is one well worth the effort. 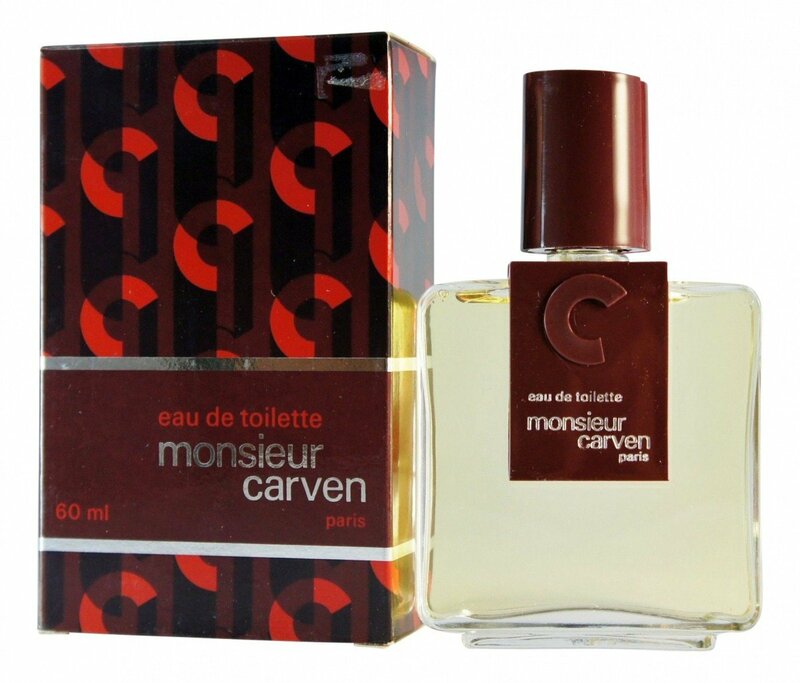 Write the first Review for Monsieur Carven (Eau de Toilette)!